Yoga, Art, Music, and Foooooooood!!! 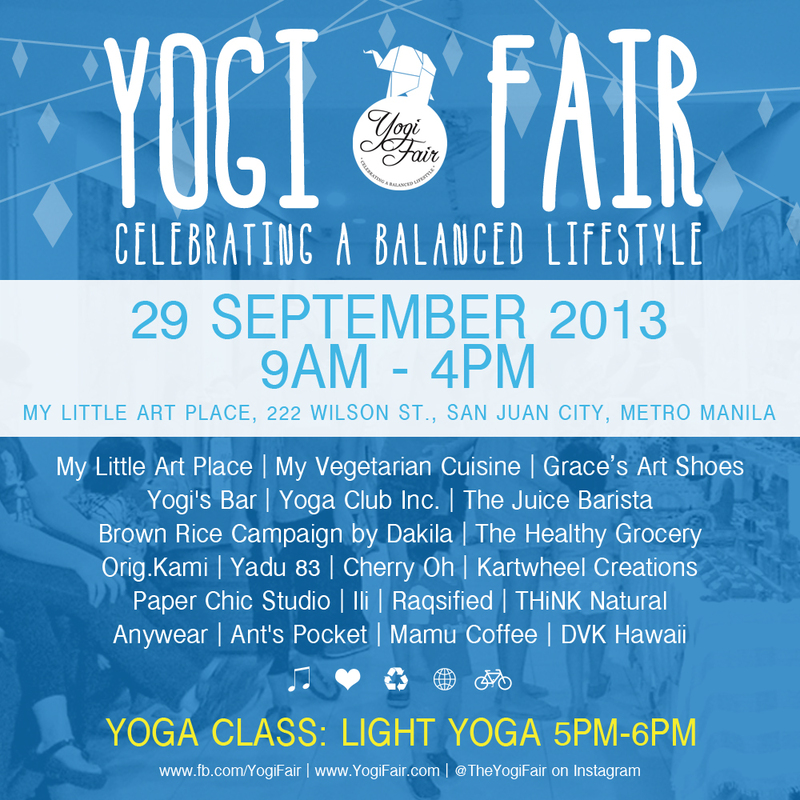 See you at the next Yogi Fair, September 29, 2013, Sunday 9am-4pm; Yoga Class: Light Yoga 5pm-6pm at My Little Art Place. Spread the love! Namaste. SAVE THE DATE! 18 August, 2013 Sunday, 7am – 3pm at My Little Art Place, 222 Wilson St. San Juan, Metro Manila, Philippines (beside Gold’s Gym, across Pizza Hut) Stay tuned for more details. Rain or shine because this is an indoor fair! See you there!